In this article, we will see how to develop an Android application that sends and receives data from a web server using IntentService. IntentService provides a simple mechanism to execute long lasting operations ( eg : downloading data ) in a background thread. In this application user is able to select a country from a spinner widget and on selecting the country, corresponding capital name will be fetched from an http web server using IntentService and displayed to the user. Note : After creating this file, please ensure that, the variable SERVER_URL of the class Constants is updated with your server url. 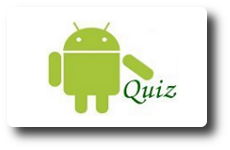 Your blog is awesome for android programming learner. I recommend this for everyone. Thank for your good site.I should develop an application in which it should be controlled from a remote place. Controlled in the sense, suppose I want to change the font or text color, I should be able to change it from a remote web server or web page. In the webpage I will have an option of selecting different fonts, sizes, color and so on. When I select particular font, size, color and so on, it should reflect in the application that I develop. Could you please help me out in this case. Please consider my request favorably. Awaiting for a positive reply. Your code fetch the value based on Country select and display the capital name. I want this in this way. how and where i can get this path? Where should i save “get_capital.php” how i save and use it?